Magento is an open-source platform that has revolutionized the eCommerce world. With $100 billion in gross merchandise volume annually and more than 260,000 merchants in 180 countries, Magento supports a diverse array of eCommerce businesses, from individual sellers to large corporations. Magento released its 2.0 version of the enterprise-level platform, Magento Commerce 2, in November 2015. With enhanced out-of-the-box capabilities, super-powered scalability, and unparalleled extensions and integrations, Magento 2 delivers a seamless customer experience across multiple devices and sales channels. Magento 2 has since been hailed as not just an exciting update to an existing platform but a signal from Magento that it is engaging in a whole-scale re-engineering of what it means to engage in the eCommerce space. The benefits offered by the new version of Magento were enough to convince many eCommerce businesses to migrate from Magento 1 to Magento 2. However, if that was not enough incentive, Magento announced in February of 2017 that it would end support for Magento 1, although the deadline for the end of support was extended until June 2020. Here, we catalog everything you need to know about the M1 to M2 upgrade before you take the plunge. Why Replatform from Magento 1 to Magento 2? First, it is important to know all of the reasons you might want to upgrade from Magento 1 to Magento 2. As noted above, Magento has announced that it will officially end support for Magento 1 in June 2020. This means that business owners who continue to use Magento 1 after that date can no longer expect to receive security updates or official patches. Additionally, since M1 will no longer be supported after June 2020, many M1 modules will quickly become outdated because developers will invest less time in M1 extensions as they also transition to M2. It, therefore, makes sense to think about how to upgrade to Magento 2 well in advance of that date. However, even without this additional incentive, there are a lot of reasons to consider migrating from M1 to M2. The re-engineered platform includes significant upgrades that drive differentiated omni-channel eCommerce experiences, provide better visibility into business results, and improve the performance of eCommerce sites. Magento 1’s scalability, which allowed it to grow alongside your eCommerce business, was one of users’ favorite features. Magento 2 takes this famed scalability to another level. M2 has enough power out of the box to process up to 39% more traffic than M1 and is capable of providing support to 250,000 orders and up to 3.5 million page views each hour. Magento 2 also provides updates to the core that make it easier to create even better mobile-enabled sites. Now that almost 50% of eCommerce traffic is coming from mobile devices such as mobile phones and tablets, eCommerce stores need to create mobile responsive sites. The redeveloped version of Magento incorporates mobile responsive templates, a touch-friendly checkout process, simple video integration, responsively designed themes, and more. Magento 2 also includes significant updates to the checkout process that are designed to drive conversions and boost your sales. We know that of all customers who abandon a cart before making a purchase, about 26% say the reason is that the checkout process is too long or complicated. The new checkout configuration in M2 reduces the number of required steps and the amount of customer information. This generates a faster cart-to-confirmation transition on average. Magento’s testing found that end-to-end checkout is up to 51% faster in M2 than it is in M1, providing a significantly improved customer experience. On the back end, M2’s interface is also more user-friendly and easier to navigate, which should reduce the amount of time that you spend managing your online store and training your team to work on the back end. Improvements to the back end include administrative dashboards that can be customized for each team member, the ability to import products up to four times faster than in M1, new drag-and-drop layout editing, content staging, optimization for different screen sizes, new data grids, and much more. Additionally, M2 divides M1’s one database, which can get overloaded, into three separate components — product data, orders, and checkout — and balances the load among them. These back-end updates will provide immediate benefits to teams that do not have a great deal of in-house technical capability. These improved back-end features will improve your team’s workflow. Finally, Magento 2 offers improved testing to head off any potential malfunctions before customers can experience them. The new Magento platform comes with an out-of-the-box framework to facilitate this kind of testing to identify any potential bugs. Given all of these reasons to take on the migration from Magento 1 to Magento 2, it makes sense to begin planning the transition. But how do you know when the timing is right to actually begin? There are a few signs you should look out for that it is time to migrate to M2. First, when the flow of visitors begins to have a significant impact on your site’s performance, it may be time to consider upgrading to M2 as an inevitability rather than an option. This is an important sign to watch out for since slow download speeds and broken pages can create a poor customer experience, which in turn can damage your brand’s reputation. Second, conversion rates are always a good indicator of the health of your eCommerce store. Increasing conversion rates tend to indicate that your marketing campaign and site capacity are efficient, whereas declining conversion rates are a cause for concern. Migrating to Magento 2 can provide boosts to your conversion rates through the speedier checkout process, improved functionality, and other features. It may also be time to migrate to Magento 2 if you are looking for increased scalability. As your business grows, you will need to deal with scaling up your store, including, for example, increased fulfillment challenges. The current and projected costs of providing development and support for your site are also good indicators of whether it is time to upgrade from Magento 1 to Magento 2. If you are planning to do a significant amount of development work on the current version of your site, then you may end up paying to implement these updates to your current site and once again after you have upgraded to Magento 2. In addition to paying for the same development twice, M2 customization tends to take less time than the same customization takes in M1 due to the updated architecture and design of M2. Therefore, it may be cost-effective to invest in migrating to Magento 2 upfront and undertaking significant developments only once rather than twice. Finally, it is important to keep in mind that the process of planning and implementing a migration from M1 to M2 can take a substantial amount of time and investment. Since there is a deadline beyond which Magento will no longer provide support to M1, the sooner you begin to plan this process, the better. 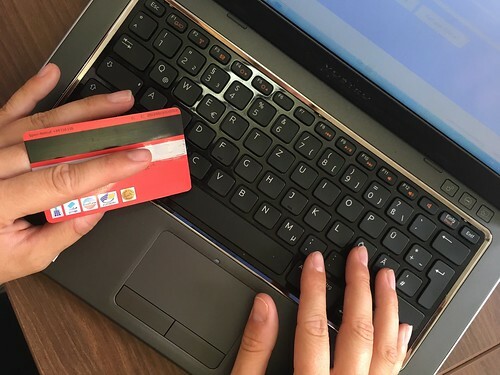 The closer we get to the 2020 deadline, the more eCommerce merchants will be looking to make the transition. Planning for the migration now will put you a step ahead of some of your competition and ensure that you have enough time to carefully plan the process and build a relationship with a Magento partner who can assist you. Even though it is likely to be beneficial to your business to migrate from M1 to M2, there are still significant costs that you should be aware of. Specifically, it can be difficult to undertake this migration on your own, especially without a significant amount of in-house technical capability. Migrating from M1 to M2 is closer to a re-platform than an upgrade. Consequently, it requires a lot of time and work, as well as a financial investment, although the financial investment will likely be recouped over the medium-run. Given the scale of this undertaking, it is important to have a comprehensive plan in place for migration. Although not all M1 extensions are supported directly in M2, more than 80% of Magento 1 extensions have M2 updates. This means that businesses will need to review each integration and extension on an individual basis prior to migrating. This is also a good time to take a complete inventory of all of your extensions to determine whether any are redundant due to M2’s native functionality upgrades. This inventory can save the hassle of migrating redundant extensions and the potential for a malfunction during the migration. Planning the migration from M1 to M2 is also a good time to reassess your business requirements. Since your M1 site was created, it is likely that current technology along with the requirements of your store have evolved. Now is a good time to take stock of what you need your store site to do. Create a list of basic requirements, and then determine whether each one adds value to your business, what you might lose if this requirement were not in place, and both the costs of implementing the requirement and the results in terms of revenue. This list will help you to determine which requirements are critical to take with you in the migration. Additionally, before you begin the technical process of migrating to M2, you should consider a number of technical requirements. You will need to create a full backup of all of your M1 files and folders as well as the database, then create a clone of the M1 store so that you are not using the live store for the migration process. Next, delete from the store any of the extensions or apps you have determined are redundant or unnecessary. Before you officially begin the migration, you will also need to determine whether your M1 custom code, extensions, and themes are compatible with M2. Finally, migrate the data from the cloned database and remove any useless or outdated data, including logs and recently viewed products. As you can see from the explanation above, migrating from Magento 1 to Magento 2 is a major undertaking. As such, migrations provide a useful reason for reassessing your eCommerce business’s entire digital strategy. IronPlane’s team of experts is ready to help you evaluate your current eCommerce solution and develop a strategic plan for the migration. IronPlane is a full-service Magento agency. Our team is led by a developer who has received the Magento Master title three years in a row, and all team members are Magento-certified developers and solution specialists. Our team will help you to take a number of steps to prepare for the migration, including conducting a full inventory of all of your current requirements that can determine what you need to replicate in M2 vs what is unnecessary; a review of your current template for compatibility with M2; building a style guide so the newly platformed site has consistent styles; and creating a data transfer plan to determine which data needs to be cleaned up. In addition to migration services, we also offer a full suite of customizable eCommerce solutions on the Magento platform, including full Magento services, SEO support, code optimization for speed, and more. Our team of Magento developers have earned awards for their front- and back-end programming, customization, optimization, and integration. We have experience working on both B2C and B2B projects and on large-scale, complex builds as well as inexpensive turnkey solutions. We are committed to working with each individual client to understand your requirements and to develop the right portfolio of eCommerce solutions with the best balance of investment to maximize your returns. Check out our portfolio to learn about the diverse array of services we have provided for our clients. Book a free appointment for a consultation with our team today to learn more about how we can assist with your Magento 1 to Magento 2 migration.